If you need an industrial or commercial electrician in Frome, make Millers Electrical Contractors your first call. We are an NICEIC approved contractor and offer commercial electrical services compliant with the most up-to-date safety standards and regulations. Need our services for a retail park property, a shop fitting or a commercial office environment? Millers Electrical Contractors Ltd can tailor and install your service so that it causes minimal disruption. We offer a fast service and competitive prices, so call us today for a quote. We can install, repair and replace your distribution boards. Whether you need your distribution re-wired, or you need a new one installed, we can help. If you need a sub-main fixed, re-wired or installed, our approved electrical contractors can get the job completed safely, effectively and professionally. Commercial and industrial buildings, factories and warehouses require three-phase electrical supplies. If you need special sockets installed, general maintenance or advice, get in touch with our helpful team by visiting our contact page. 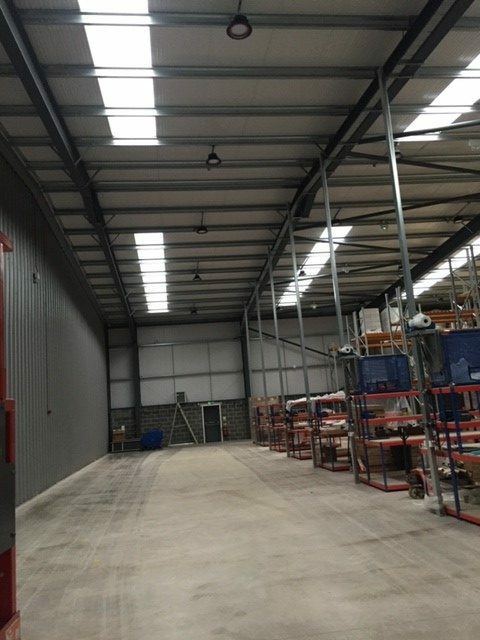 Our electricians provide effective high-bay and low-bay LED lighting installation and repairs. Whether it is a shop, warehouse or commercial office that you want to brighten up, we can do it for you. Your fire alarm system is vital for keeping you and other occupants in your building safe. Our qualified electricians will do your wiring and fire alarm installations, so you can rest assured that you and your employees will be protected. Emergency lighting is a requirement in commercial buildings. We can make your property a safer environment by installing and maintaining your emergency lighting system. From light replacements to a full re-wiring, we can do it all. Our expert electricians offer affordable shopfitting electrical services. We can help design the electrical plan and install it for you. Whether you need shopfitting electrical installations for a new establishment or refurbishment, we offer a fast service at competitive prices. As local industrial electricians, we offer a vast range of high-quality electrical services. From complete re-wiring to three-phase electrical supplies, our engineers complete every job with care and attention to detail. Not only do we offer competitive rates, but our team consistently deliver a fast and effective service. Just look at the testimonials to see how we satisfy our customers time and time again. Visit our contact page for a quotation today.